Sheri Washington, president of the Willow Run Board of Education, submitted her own 27-page memo alleging charges against Laconda Hicks, the district's former director of special education. Mar. 26, 2010 · 12:27 p.m. The Willow Run School Board decided to move forward with the consideration of charges against suspended former Superintendent Doris Hope-Jackson during a special meeting Thursday night. In a 46-page memorandum written by school board President Sheri Washington, the board alleges that Hope-Jackson allowed former district Director of Special Education Laconda Hicks to receive thousands more in pay and benefits than she was entitled to, as well as abuse paid sick leave. Hope-Jackson also “colluded” with Hicks to obtain board signatures on a new contract with the district for Hicks that included additional terms, but was never approved by the board, according to the memo. Washington also submitted a separate 27-page memo with charges against Hicks, although many of the charges are the same. Both memos also include pages of first-hand testimonials from district staff against Hicks and Hope-Jackson, alleging that they treated parents and staff unprofessionally. A hearing will be set for both employees. If the board finds the charges to be true, the district will immediately terminate its contract with both employees. They each have the option of holding an open or closed hearing, and must respond to the district by March 31. When asked whether the board would pursue criminal charges against Hope-Jackson or Hicks, or whether they would request repayment of misappropriated funds, Washington said nothing would be ruled out. "We will let the disposition of the hearings occur before anything further happens," she said in a text message Friday. Both Hope-Jackson and Hicks have been on paid administrative leave since December. “As President of the Board, it is my considered opinion that you abused your authority and that your misconduct and dereliction of duty as specified above is nothing short of shameful, reprehensible and inexcusable,” Washington wrote in the memo to Hope-Jackson. Neither Hicks nor Hope-Jackson were present at the meeting and could not be reached for comment. Washington said after the meeting Thursday that the board tried to come to amicable terms with Hope-Jackson, but was unable to come to an agreement. Before the board removed Hope-Jackson from the superintendent position, she was absent for six weeks due to injuries sustained during a car accident. The board claimed they received little communication from her. She was subsequently removed as district superintendent in December. She was given a new job in the district's administration, director of communication and assessment, and later put on paid administrative leave. Until now, the board has refused to release any details about her removal from the superintendent position. This memo is the first indication of the reasons behind her removal. -Hope-Jackson approved a $16,000 retroactive payment to Hicks for the summer of 2007, before her contract with the district actually began. The memo indicates that Hicks should have had a prorated salary for that year, but instead received full pay and benefits as if she had worked the entire year. -Hicks used more than 30 paid sick days in the summer of 2008 while she was actually in an intensive doctorate program at Cambridge College in Massachusetts. The memo states that Hope-Jackson knew Hicks was at the program and approved her time away as paid sick leave. Hicks claimed both family illness and personal illness during her absence. Over the course of her employment with the district, Hicks used 42 sick leave days, 15 non-duty leave days, 7.5 comp days, 9 emergency family leave days, three business leave days and three vacation days, according to the memo. -Hope-Jackson and Hicks fraudulently obtained signatures on a new contract for Hicks with the district for the 2010-2011 school year, according to the memo. The contract contained additional terms, including a more than $5,000 increase in salary, 10 additional credit hours of tuition reimbursement, five additional days of vacation time and five additional days of sick leave. The memo states the contract was never approved by the board, but was signed by former board President Claudette Braxton after her tenure as board president was over. The memo also states the contract was signed by board Secretary Mark Wilde, but was buried with other documents for his signature. Wilde was aware that no contract had been approved and would not have knowingly signed it, the memo states. -Charges against Hicks state that she conducted unauthorized research for her doctorate using Willow Run students and staff, as well as the Reading & Language Arts Centers Program, which she requested that the district purchase. According to the memo, the District has paid more than $300,000 for the program. The board has requested a copy of Hicks’ dissertation and supporting documents, but says to date they have not received them. The memo also indicates that Hicks asked her assistants to work on her dissertation during regular school hours. -Hope-Jackson approved more than $8,500 for 85 hours of weekend and after-hour work for Hicks. According to the memo by Washington, this work was included in her contract with the district and should have been included as part of her salary. Hope-Jackson also approved payment of $100 per hour for that work, when it should have been $25 per hour, or a total of $80 per day. -The memo states Hicks signed a $40,000 contract with the Pediatric Therapy Associates for physical therapy services without board approval in May 2009. The board must approve any district purchase more than $5,000. Hicks and Hope-Jackson later brought the contract to the board for approval in Aug. 2009. -According to the memo, Hope-Jackson moved Hicks to a higher pay grade than she was entitled to during the 2008-2009 school year without school board knowledge. -Hicks failed to train district employees on a new Medicaid billing system for special education students, the memo stated. -Hope-Jackson did not require Hicks to keep regular office hours as indicated in her contract, or require her to sign in and out of the building when she was off campus. 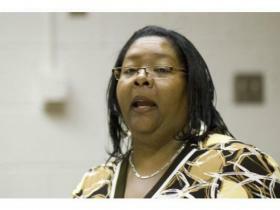 -Hope-Jackson allowed Hicks to neglect her duties to the Washtenaw Intermediate School District. During the 2008-2009 school year, Hicks missed eight out of 12 monthly meetings that she was required to attend.